"Cupcake, donut, eclair, froyo. 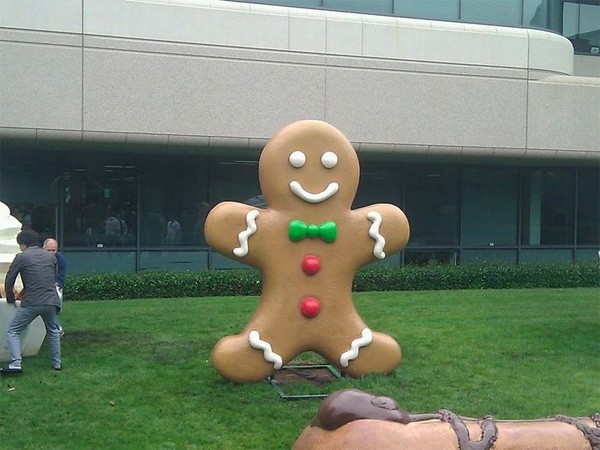 That's not just a list of Android iterations, it's also an inventory of all the giant decorations..."
A giant gingerbread man has been spotted on the lawn of the Google Headquarters to join his other "sweet treat" friends! Does this mean that gingerbread may soon be out of the oven and ready for our enjoyment? We hope so because gingerbread is always a tasty treat!